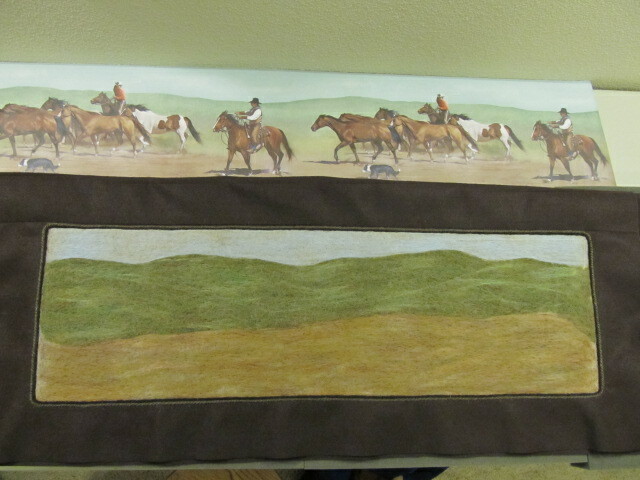 A friend recently contacted me and asked if I could make her felt valances. She had a wallpaper border that she really liked the ‘feel’ of and asked if it would be possible to felt a similar scene. I have to admit, I was a little overwhelmed to begin with, but after a bit of conversation I said ‘Yes’. 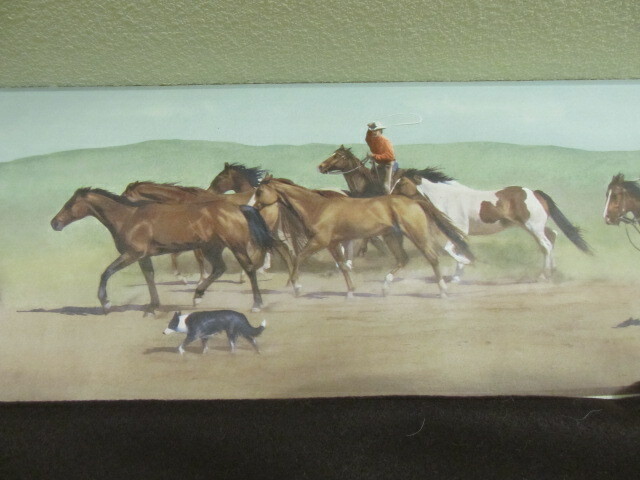 She said the background, the horses, and the dog were the important pieces. We agreed to leave the riders off because they wouldn’t translate well in felt. 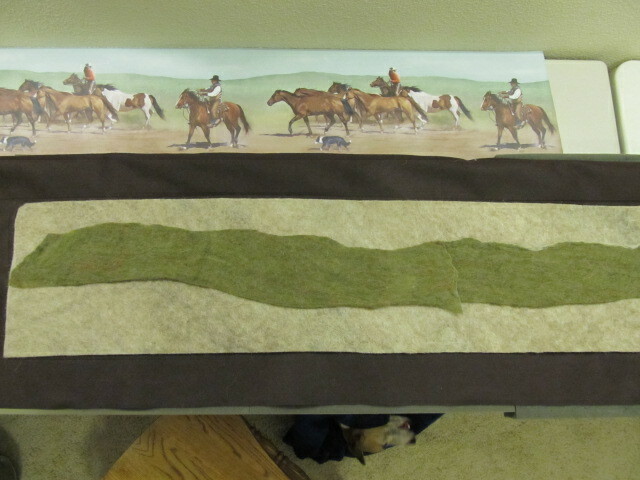 Here is the beginning with the wallpaper border sitting there for inspiration. 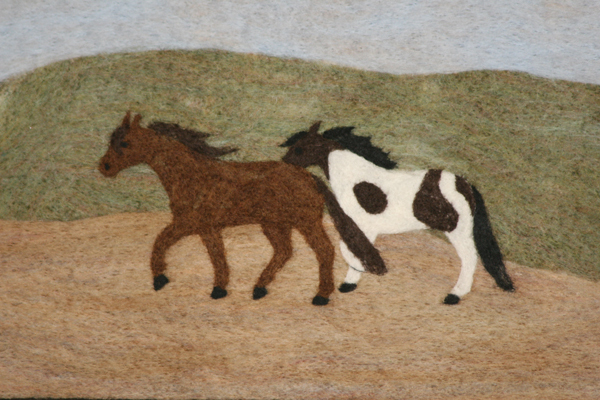 I used dark brown wool felt for the background, with a thick piece of felt made with our jacob wool for the base and then I felted the scene onto that. I felted yarn on the edges to give it a nice finish. 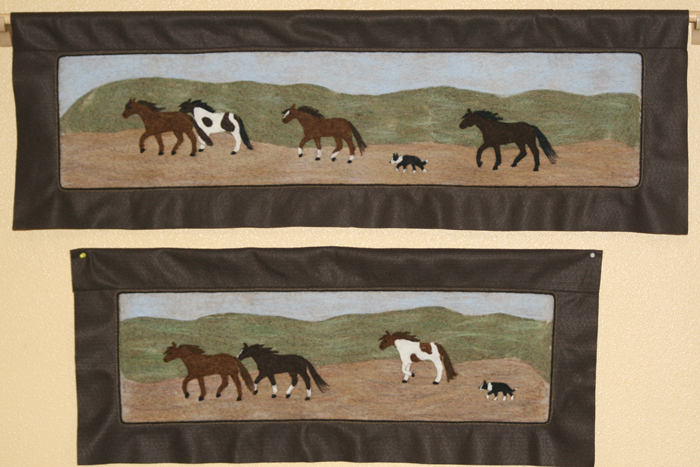 Here are a couple of the horses. I can’t wait to see pictures of them hanging in her office.